The Japanese history starts with a Buddhist Monk who introduced tea to Japan in the 6th Century and by the year 1200 Japanese Zen priest Eisai, wrote the first book on this beverage ("Kissa Yojoki" or translated: "Book of Tea"). He described the plant from which all tea originates ("Camelia sinensis"), how you can grow the Camelia sinensis and how to process its leaves. He also stresses the important health benefits for vital organs such as the heart and the brain. Nowadays, around 45% of green tea is produced in the Shizuoka prefecture, south of Tokyo. Other popular regions are Uji and Kagoshima. There are various types, originating from Japan such as Gyokuro green tea - grown under the shade - but otherwise similar to Sencha green tea. With three to four harvest periods a year in Japan, the leaves plucked in the first round are of the highest quality. Sencha is made from the tea leaves plucked in the first and second round, grown under full sun. Sencha is the most common type in Japan. Sencha literally means extracting the flavor by boiling referring to this processing method. Sencha is initially steamed, where oxidation is put to a halt preserving color, aroma and taste. The leaves are dried with hot air and tightly rolled into long needle-shaped leaves, following traditional Japanese processing techniques. Ultimately, after drying, the leaves are fried so as to preserve them longer and to add more flavor. It has a refreshing, fresh grassy aroma and bittersweet taste. Besides taste, it's abundant with vitamins and it can be recognized by its shiny, needle-like shaped tea leaves with strong fragrance. Although originally introduced by the Chinese, Japan mastered the preparation of powdered tea and made it part of their culture for hundreds of years celebrated in Japanese tea ceremonies focusing on the preparation, serving and drinking of premium Matcha powder. While other teas are grown throughout the world, Matcha green tea powder is unique to Japan where local farmers use traditional methods, from growing to grinding. Here, only the top leaves are used. They are dried in the shade and stone ground following special processing methods to maintain its quality. Since the Japanese grind the whole tea leaf, you ingest it completely, not just the brewed water. Matcha powder is a fine tea used primarily in tea ceremonies. Nowadays, besides a beverage, Matcha has now also come to be used to flavor and dye foods; they now make ice cream, cookies or other recipes using this green powder. 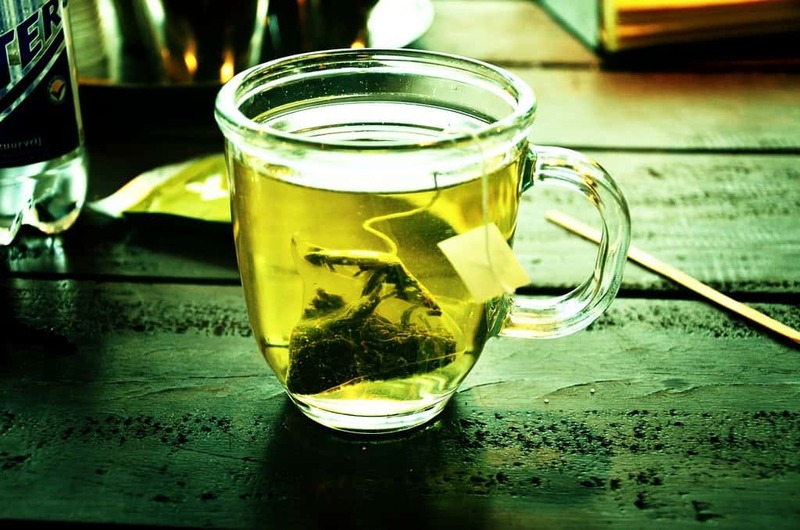 Green tea has many benefits thanks to the antioxidants in this beverage. It helps to prevent cancer, it helps to prevent acne, it boosts your metabolism helping you in the weight loss challenge, lowering your blood pressure, lower high and "bad" cholesterol, reduce the risk of kidney stones, fighting depression, it can prevent or reduce constipation, it can increase your fertility, it reduces the risks of smoking, and it helps against diabetes.